NAMM 2016: IK Multimedia - Lurssen Mastering Console & iLoud Micro Monitors. 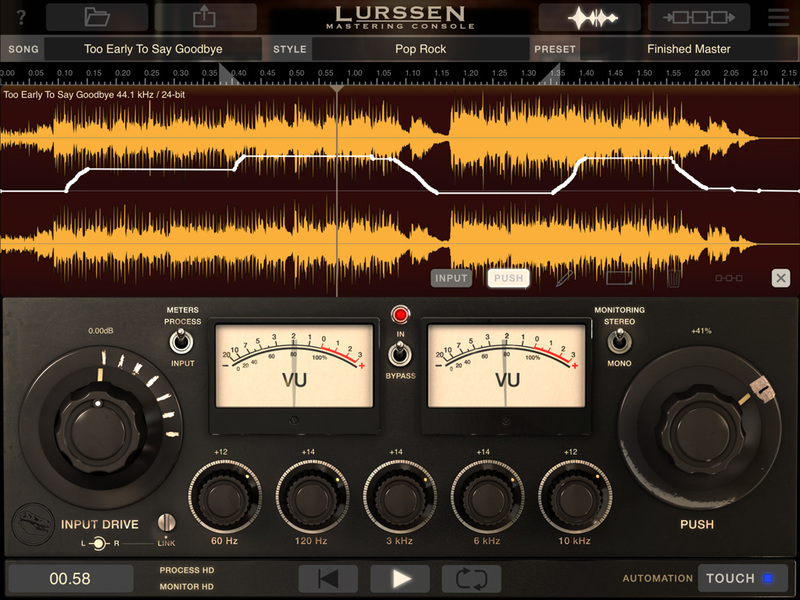 IK Multimedia has released the Lurssen Mastering Console mastering plugin that works on Mac/PC and iPad. I've had mixes mastered by Reuben at Lurssen Mastering and they did an amazing job. If you have an iPad you can immediately try the app for free. The Mac/PC version will be available in February. I don't see this app replacing the golden ears of your professional mastering engineer but for those times when budget and schedule don't allow for their services it will come in handy. 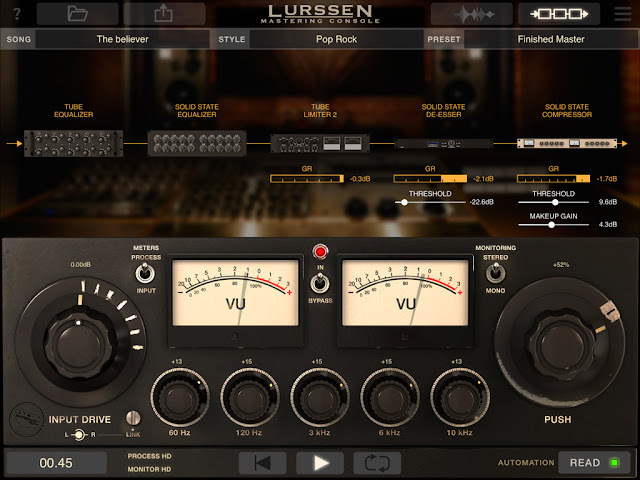 "IK Multimedia is proud to announce the Lurssen Mastering Console, a totally new mastering tool developed in collaboration with multi- Grammy Award winning world-renowned mastering engineer Gavin Lurssen, Reuben Cohen and the team at Lurssen Mastering in Los Angeles, CA. Designed to be an effortless mastering tool for musicians and producers of all skill levels, it faithfully digitally recreates the unique "whole is greater than its parts" approach used in the studio. 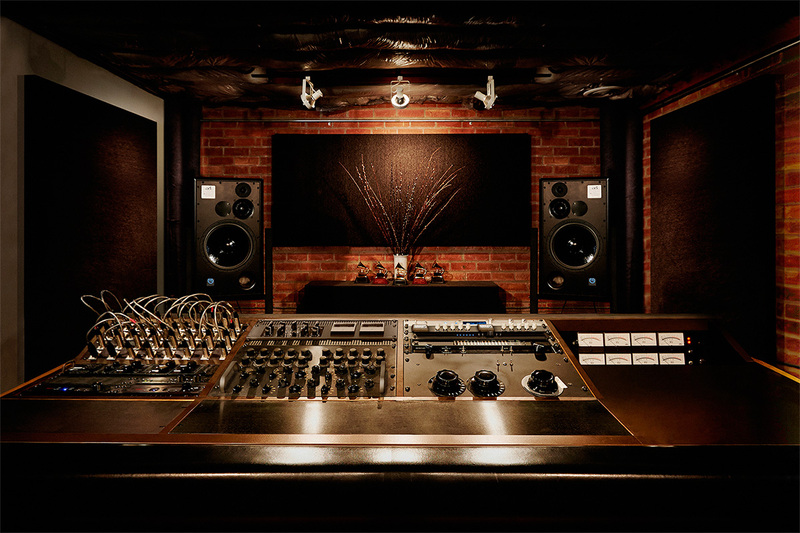 It provides a top of the line mastering processor chain with parameters that can be recalled as 20 different "Styles" that have been created by Gavin, Reuben and the team to reflect the settings they've developed in their decades of combined experience mastering hip-hop, rock, pop, Americana, country and more. Now, with Lurssen Mastering Console, musicians can make great sounding masters both at home and on the go when a trip Lurssen Mastering just isn't in the budget." 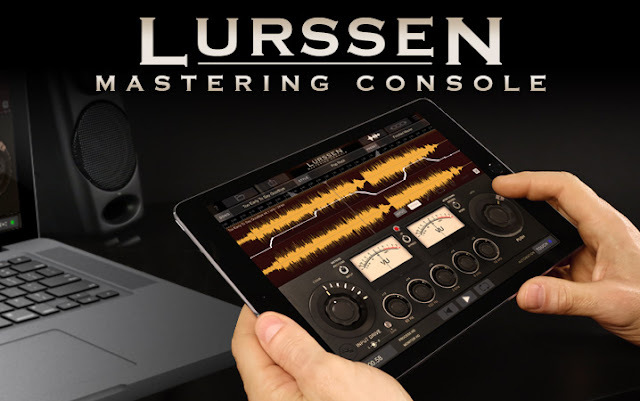 Lurssen Mastering Console is available now for iPad via the App Store as a free app with a functional demo mode. All content can be unlocked via a one-time in- app purchase of $/€99.99. 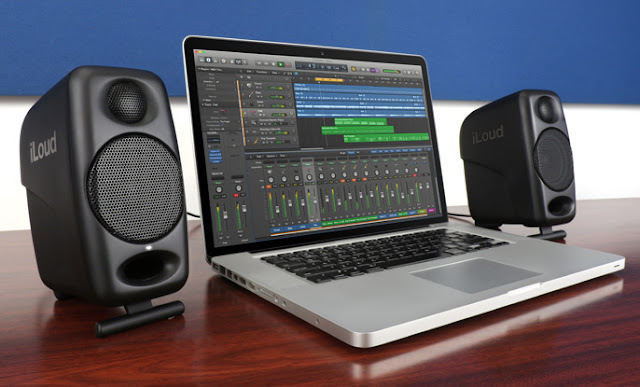 A standalone and plug-in version for Mac and PC is now available for preorder from the IK online store and authorized resellers for a special pre-order price of just $/€199.99. Lurssen Mastering Console for Mac/PC will be available in February, 2016 for $/€299.99. Ik Multimedia also announced the iLoud Micro Monitor dubbed the "smallest studio monitor in the world". 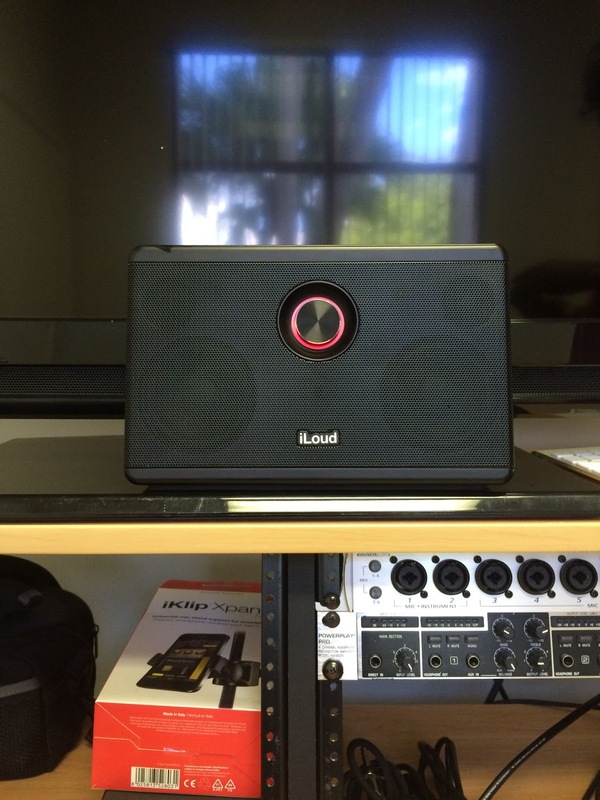 I have the original iLoud speaker (which has become my favorite portable speaker) so I'm very curious to hear the Micros. 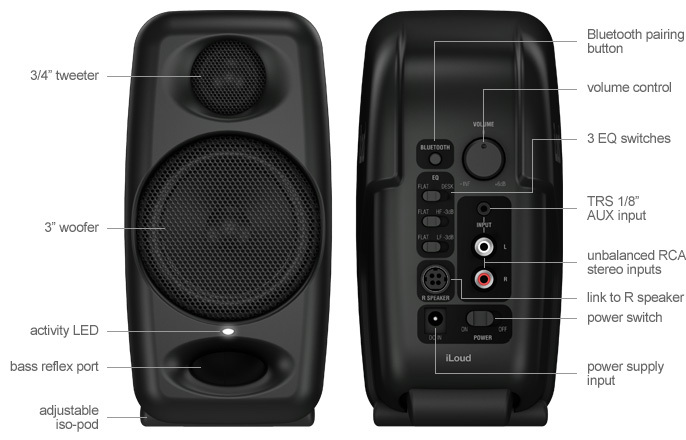 "iLoud Micro Monitors are two extremely portable, high-performance bi-amped speakers that deliver a combined 50W RMS of power for superior bass, plenty of headroom and an expansive stereo image. Whether you’re recording, editing, mixing, or mastering audio, iLoud Micro Monitor ensures your mix will translate well to the huge variety of consumer devices — headphones, home stereo systems, gaming consoles, car audio systems, TVs, and other listening systems"